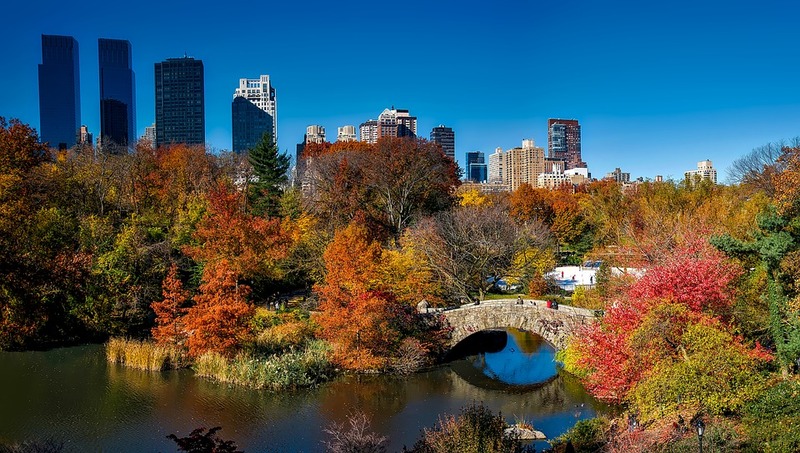 CITY FOR VACATION: WHERE TO MOVE THIS FALL? Choose your best city for vacation! Fall travel can become an unforgettable experience. The air is cooler, fall foliage is spectacular, summer crowds have dissipated, the beaches are emptier, hotel and apartment rates are lower, and in many places, the best local festivals and local events are ready to shine. All of these are the undeniable benefits of going to explore the country in fall. Here you’ll find the best places to visit in fall! If you don’t want to let summertime leave, San Diego, California is just for you. The most summery temperatures of the year together with excellent surfing on half-empty beaches make it the most attractive place for those who like catching the wave. If you come to this place in November don’t miss San Diego Beer Week full of beer-themed events. Thirst-quenching craft beer as well as mouth-watering food won’t leave you indifferent. Denver, Colorado is set on the plains at the base of the Colorado Rocky Mountains and is known as a place where urban sophistication meets splendor of nature and outdoor adventure. Art galleries, craft breweries, chef-driven dining and more than 4,000 acres of parkland with magnificent views and trees to enjoy fall foliage have made this place a popular Fall destination. Walking along the High Line Canal, lined with cottonwood trees that have already turned yellow is a wonderful pastime. The Denver Oktoberfest, the Denver Beer Fest, and the Great American Beer Festival attract a lot of beer fans to Denver in fall. Nashville, Tennessee is called Music City and it is in fall that it lives up to its nickname. In fall, the city hosts the American Festival and the Independent Music Festival. Here you can hear great music 24/7, 365 days a year. Everyone can find something to his taste in Music City with its more than 180 live music venues. One can enjoy rock, jazz, pop, country, classical, blues etc. on one day here. Plan to visit the Grand Ole Opry House and the Johnny Cash Museum and then either walk or drive to the rolling hills. If you take a fall foliage train ride from the Tennessee Central Railway Museum you’ll feel the true spirit of quiet and colorful fall. Portsmouth, New Hampshire is a historic coastal town with delightful sea views to tempt you, to say nothing of good shopping and dining facilities which are found in abundance here. Some people come here just to watch the leaves fall in Prescott Park or have a picnic on Four Tree Island. Buffalo is the second most populated city in New York. Set on the east end of Lake Erie it is a wonderful destination for enjoying leisure time and sightseeing. The city is well known for its historical buildings, including the Art Deco-style City Hall. Canalside is the area of downtown Buffalo running along the canal which became a popular destination after its redevelopment. A lovely park with Adirondack chairs and benches overlooking the canal as well as a walkway along the water’s edge are really mesmerizing in Fall. Buffalo and Erie County Botanical Gardens, Buffalo Museum of Science, the Buffalo Zoo, Buffalo and Erie County Naval and Military Park, Darwin D. Martin House are the major points of interest in the city. According to the National Geographic Society, Buffalo ranked third on the list of “The World’s Top Ten Food Cities” in 2015. If you have time to explore areas outside of downtown, Delaware Park is worth seeing. Buffalo also makes a good base for visiting Niagara Falls and you’ll never have any difficulty finding apts for rent in Buffalo NY. If you are looking for some amazing views for your eye to feast on, for your soul to feel peace, and for your mind to drift away you should definitely see the places mentioned above this Fall!